I’ve often described business as a roller coaster ride. There are ups and downs. But mostly the ups have been big and enough to distract me from the downs. Last night, I got sent a photo of our business – iThemes – being mentinoed in the second edition of the WordPress for Dummies book, published by Wiley, and written by WP guru Lisa Sabin-Wilson. It was a shot in the arm for our team … and validation that we’re doing what we set out to do back in January 2008! 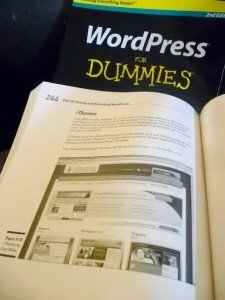 I’ve written more about our inclusion in the WP for Dummies book over at iThemes.